Your Digital Footprint Covered. Home Sellers Research You, Before They Call You To Help Them. Your Own Online Platform. Control Your Brand Today. This Is a Real Estate Website For You. On Your Real Estate Career. Manage Your Message. Control Your Brand. Designed On The WordPress Platform. Add New listings, Local News & Add Real Value. Nurture Customers For The Rest Of Your Career. Keep Clients Constantly Up To Date On Their Suburb. Be Relevant to Your Clients. Gorgeous Websites Look Great On All Devices. Give The Perfect First Impression. 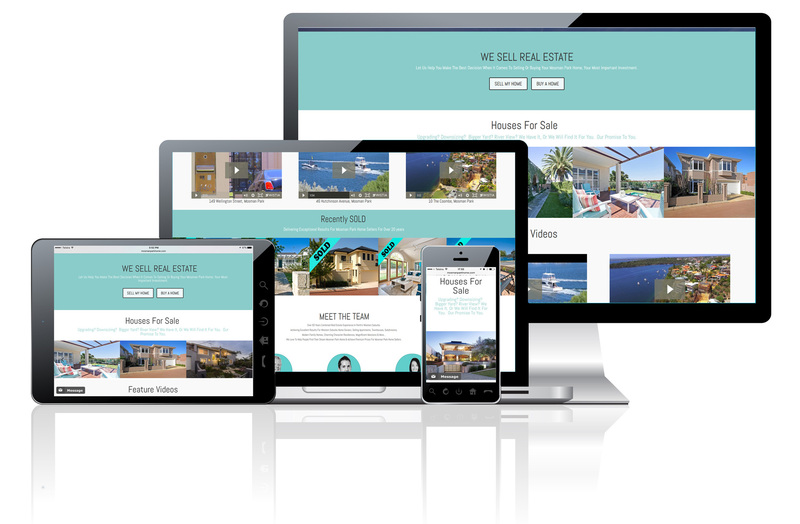 We Put Your Website Together, So You Can Focus On Listing & Selling Real Estate. We Add Your Listings & Sales*, Videos, Photos, and So Much More…. *You send us the link to the photos, floor plan and copy writing and we do the rest. A Customer Visits Your Site and You Can Direct Market to Them. Choose a Package above and we start building your website right away. Grow your business, sell more homes and win more listings. Add your new website to all your marketing/prospecting materials. Your potential seller gets to know you before they meet you. Grow your Seller & Buyer Database. Update them with all the latest sales, local news and home seller tips. This Is Your Real Estate Career, Give Yourself The Edge.